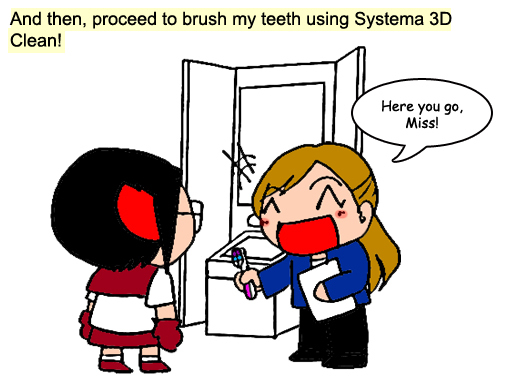 Clean every part of your teeth with Systema 3D Clean! However, I could not narrowed down my choices for toothbrush. Either I'm super lazy to do my own research or there are too many good choices on the market which I've no idea which will suits me. 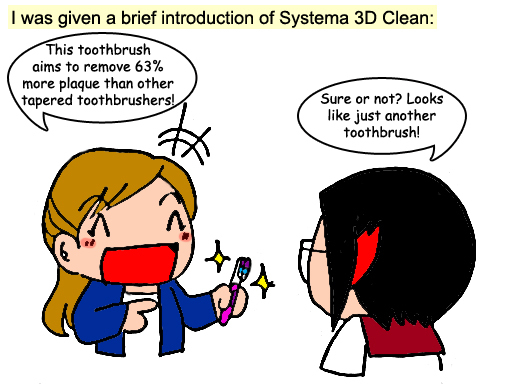 When I first heard about Systema, to be honest I thought it’s just another toothbrush brand. Still, I attended the event for the sake of my teeth. So what’s this Systema 3D Clean? It is Systema’s new product designed to remove 63% more plaque than other tapered toothbrushes. Made for the toughest food, the 0.02mm Multi-Cleaning 3D Bristles aim to clean every part of your teeth. Systema comes with 7 designs to suit your preference. The 3D Clean (center in this picture) is their latest product. Dup dup dup, the moment of truth! I must have been blind for not knowing Systema. It’s the finest and smoothest toothbrush I’ve ever used!! It able to penetrate in between of my teeth, and able to each my back ones too! 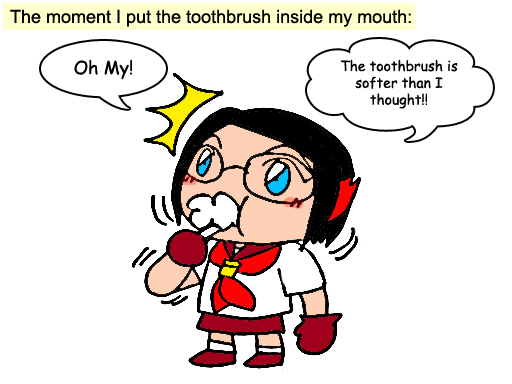 The toothbrush itself can even work as tongue brusher I felt refreshing inside my mouth. I can consider not visiting my dentist to have my tooth clean lol! 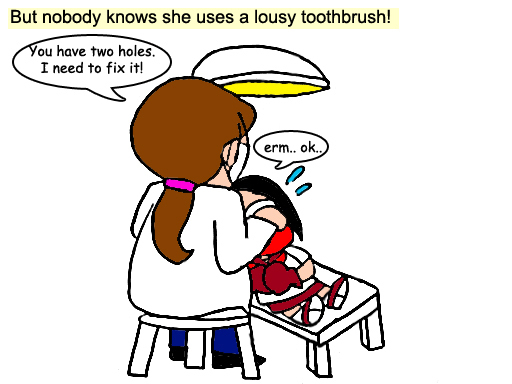 After cleaning my teeth, I proceed to have my tooth check-up! The dentist who was busy checking our teeth using her PC. My unglam picture of wisdom tooth. So she spotted that I’ve two wisdom tooth grow on my lower back teeth. The bad news I've ever received on the roadshow lol. Sigh, need to fork out some money to have them removed. Put aside, I'm still thankful that the dentist manage to find out. Having a wisdom tooth is beyond your control. It's safe to be checked than never. So the queue was unexpectedly long! Overall, I’m very satisfied with Systema 3D Clean. I’m considering having it for the sake of saving some money not to visit the dentist (I know it’s not possible but there are lots of things is under our control). Thank you Systema for having me to try your new product! I am looking forward to see what you’ll bring to us in the future! 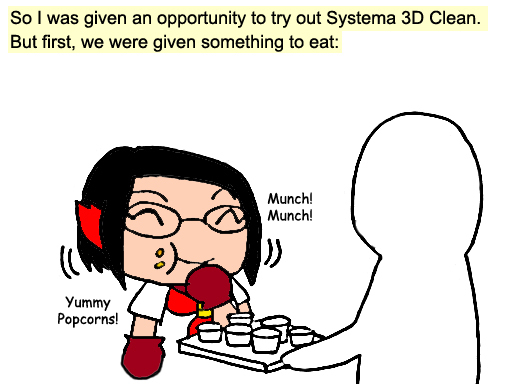 For more information about Systema 3D Clean, you can check out their website at www.southernlion.com.my or official Facebook page https://www.facebook.com/KeepSmilingMY. No la dear, part of the reason is I've tried MACE lol. Traveling to unknown areas, particularly remote destinations or developing nations, you may encounter unfamiliar or even dangerous situations. Even basics like clean drinking water could be difficult to find. The key to handling the unknown is being prepared for any situation. so important to clean our teeth. I love your comic. I am your fan!!!! That new toothbrush looks mighty fine! I gotta grab two of that for me and my husband. like ur blog. 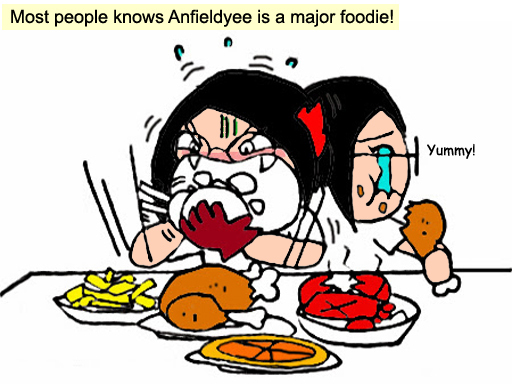 always come with qq comic with the story telling ! 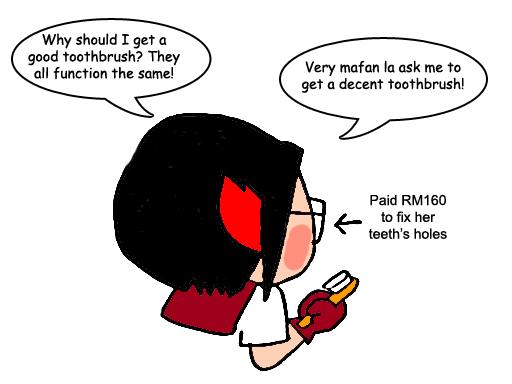 I didn't know they will feed you before reviewing the toothbrush! Should I have known... XD Just joking. 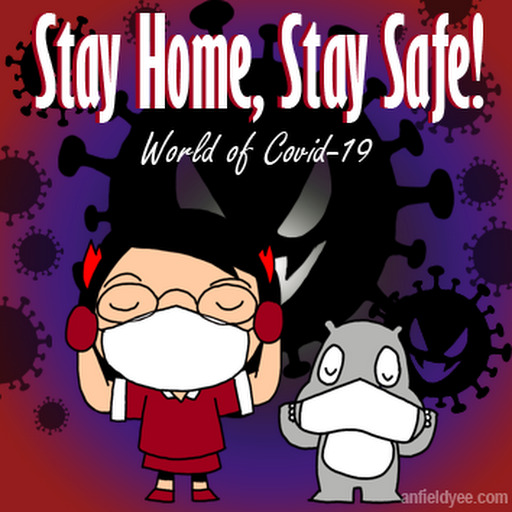 I like your comic! i have been a systema fans for long! nice comic and the toothbrush is good to use too. I used to think the same also, it's just toothbrush, doesn't matter what brand as long as it gets the job done, right? But truth is, I have horrible teeth. Thanks for the recommendation! I'll go try it and see if my teeth gets better.